Like most other surgeries, oral surgery can often lead to feelings of nervousness and anticipation in the patient. Although this is normal, one of the best ways to ease this sense of anxiety is through an adequate understanding of what is needed to prepare for the surgery. 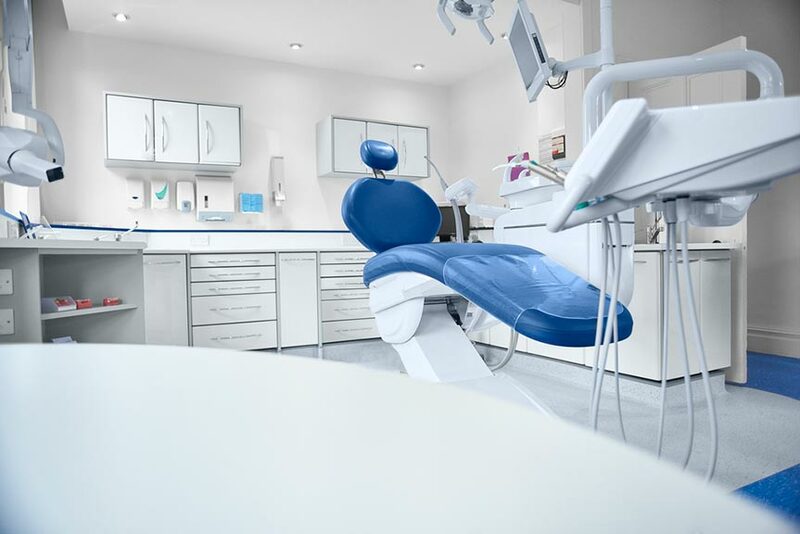 Those patients who take the time to prepare themselves, and their homes, for the period following an oral surgery are more likely to experience a quicker and smoother recovery. Although your surgeon will probably give you most of the information you will need to get ready for your surgery, you may also want to do some research of your own. Here’s what you need to know about preparing for oral surgery. Unless you’re having emergency surgery, the first step toward oral surgery is a consultation with your surgeon. This consultation is where the doctor will tell you what to expect from the surgery, take your medical history, and tell you which medications to avoid in the weeks before the operation. Now is the time to ask your doctor any specific questions you may have about the surgery. Before your consultation, be sure to write down your questions, so you don’t forget any. If you smoke, now is the time to quit for good. Smoking interferes with healing, and even the sucking action of smoking can prevent your oral surgery from healing the way it should. It can cause dry socket, which is when the blood clot that forms in the surgical wound becomes dislodged and leaves the wound exposed. Dry socket is a painful condition that requires immediate medical attention. Most oral surgeries are outpatient surgeries, which means you’ll be discharged shortly after the operation. You will want to arrange for transportation home in advance, as you won’t be able to drive yourself due to the lasting effects of the anesthesia. It’s also a good idea to have someone stay with you for a night or two after the surgery. This person can keep an eye on you, call the doctor if complications arise, and help care for any children or pets. The doctor will prescribe pain medication and antibiotics for you to take after the surgery. You will want to arrange for someone to pick these up for you before you get home, so they are ready when you need them. Depending on the surgery, the doctor may ask you to fast the night before, particularly if you’re going to be put under general anesthesia. It’s wise not to eat or drink anything at least eight hours before the surgery, though if you’re going to have local anesthesia, you may be able to eat a light meal a few hours before. Make sure to clean your teeth before the operation, as this cuts down on the bacteria that can get into the surgical wound. After the surgery, the doctor will put you on a soft diet where you won’t have to do any hard chewing or biting. The food should be bland as well as soft, and you may want to try protein powder shakes or nutritionally enhanced liquids for a few days. Don’t drink them through a straw, because this may lead to dry socket. Don’t drink alcohol for at least 24 hours after the operation. You shouldn’t eat anything at all until your anesthesia wears off, and you can feel your cheek and your tongue. If you eat while they’re still numb, you may bite them by accident. Wear old, loose, comfortable clothing to the surgery. Don’t wear makeup, jewelry or contact lenses. You may also want to bring some lip balm to soothe your lips after the operation. The surgeon may ask you to stop taking blood thinning medications a couple of weeks before the surgery. These medications, which include aspirin, can prolong the healing process. Some doctors start their patients on antibiotics and pain meds before the surgery to make sure they’re comfortable. As discussed, painkillers and antibiotics should be picked up beforehand so they can be ready for you when you get home. Antibiotics used by dentists include penicillin VK, erythromycin, clindamycin, ticarcillin, and metronidazole. Painkillers include non-narcotics such as prescription strength acetaminophen. You will want to start preparing your home for recovery well before the surgery. Change your bed linens into those that are clean but expendable, as they are likely to be stained. Find plenty of pillows to keep your head propped up during the postoperative period. Consider placing needful things such as reading materials and games on the nightstand, and keep your phone nearby in case you need to call for help. Don’t wait to buy soft foods such as yogurt and ingredients for smoothies on the day of the surgery, but have them ready in the fridge. You will also want to have ice packs ready to go. Sleep with your head elevated for at least a few days. You will want to take it as easy as possible and avoid any strenuous activity in the days following your surgery. Swelling and slight discomfort are inevitable but can be eased by cold compresses or a bag of frozen peas. Beginning 24 hours after your surgery, you can usually rinse your mouth with lukewarm salt water. Brush and floss your teeth as usual. The vast majority of oral surgery patients make a complete recovery. The pain and swelling should ease after about two days. If you’re still having pain despite the analgesics, or if you’re bleeding excessively, get in touch with the surgeon. Call them if you have nausea, vomiting, headaches, muscle aches or other symptoms of an infection. The length of an oral surgery depends on what it’s treating. Pulling a wisdom tooth generally takes less than two hours, while a dental implant can take months. The first phase, where the oral surgeon inserts the titanium post into the jaw, likely takes as long as wisdom tooth extraction, but it takes a while for the post to fuse with the jawbone. When that happens, the gum above it must be reopened, and the crown installed. Recovery for a one-stop oral surgery such as wisdom tooth extraction or root canal therapy may take about two weeks. Jaw surgery can take as long as five hours, and it may take about a month to a month and a half to heal. If you need oral surgery, it’s important to find a certified oral surgeon to perform the procedure. By taking into consideration your oral surgeon’s advice, and the above tips for preparing for oral surgery, you can position yourself for a quick and smooth recovery from surgery. Absolute Dental has experienced oral surgeons at both its dentist offices in Reno and Las Vegas, NV. Call to schedule your consultation for oral surgery today.